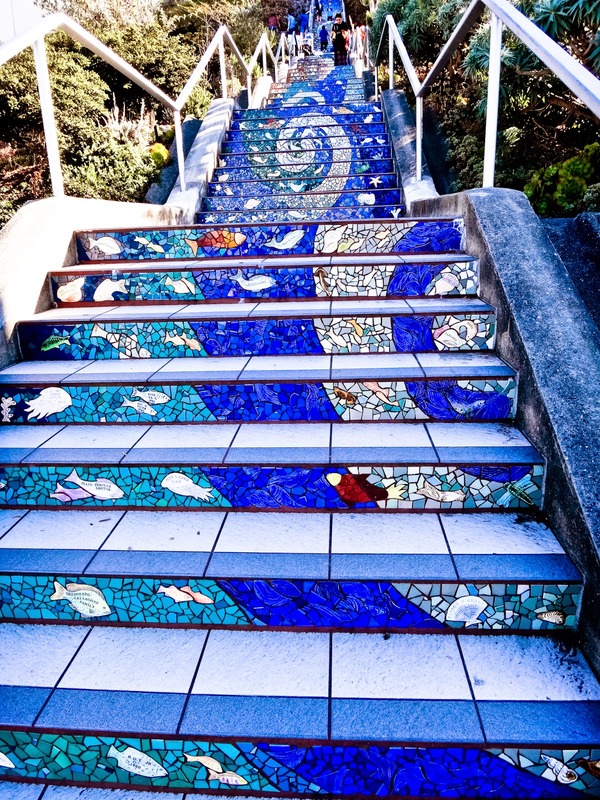 The AAA magazine suggested that I might want to see the artsy 16th Avenue stairs in San Francisco. Yes, I decided, the AAA magazine was correct...and a theme was born: The stair tour of San Francisco. These are stairs that started the tour. 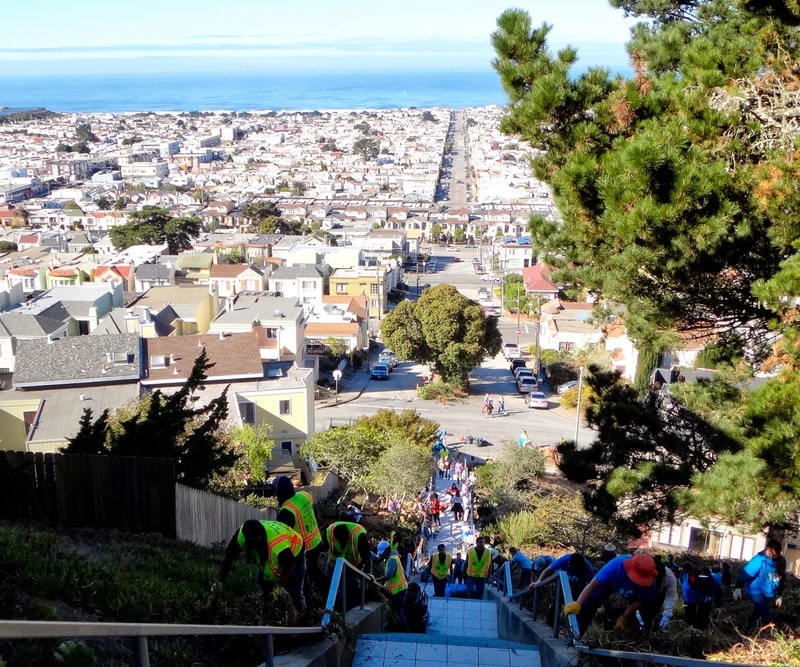 It was community clean up day and the stairs were covered in safety-vest-clad volunteers. From the top there was a far-reaching view of city. Also at the top was a friendly neighbor who told us the story of the stairs. A woman who lives next door to them started the clean up efforts. 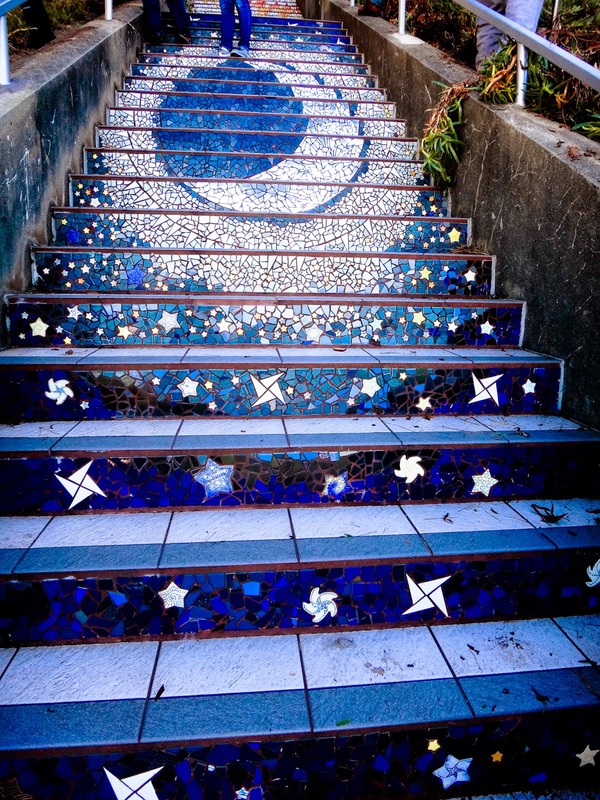 Then she organized donations to beautify stairs. 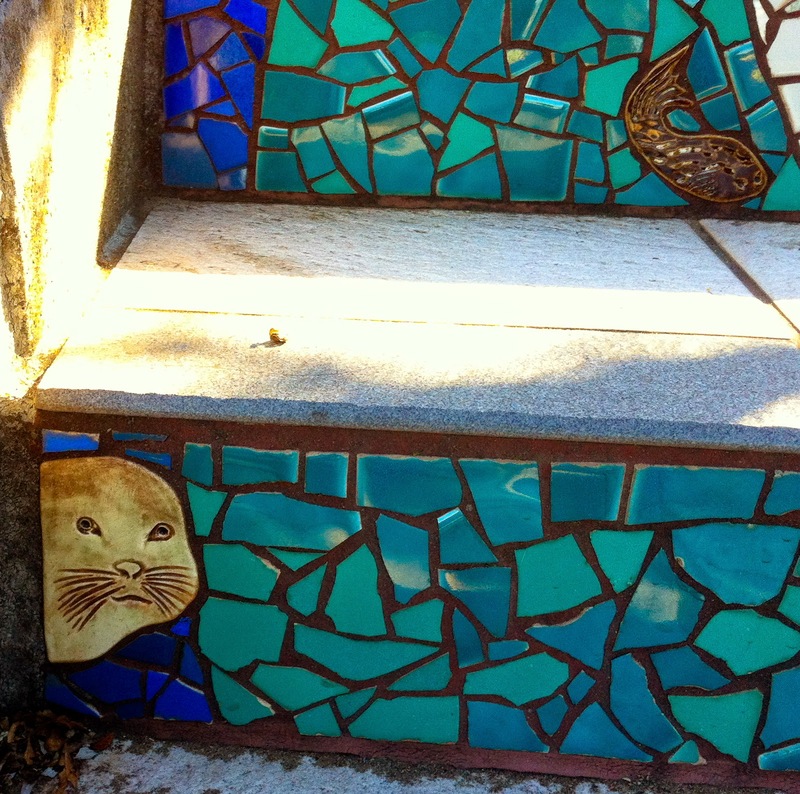 What came from that is a marvelous example of tile work and urban art. 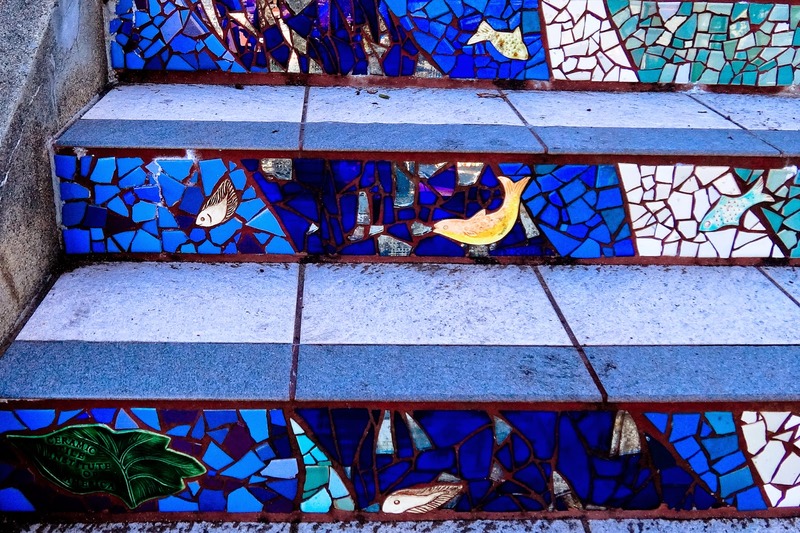 Names of neighbors and donors are worked into the tile design, giving everyone a little piece of "ownership" in their neighborhood stairs. The friendly story-teller said that now people come from all over the world (I did) by the thousands every week just to see the stairs.